Robin Newman has taken a 30-year old glockenspiel, some solenoids, a RasPiO ProHAT and a custom circuit and hooked it up to a Raspberry Pi. The code is in two parts: a Python part which accepts OSC signals and then communicates with the GPIO and a Sonic Pi part which deals with the actual music and sending of the OSC commands. 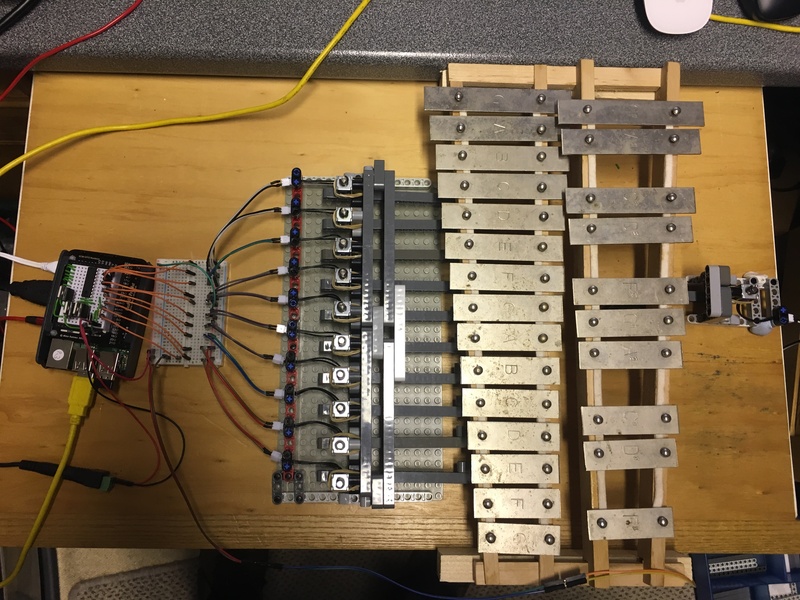 The mechanism for hitting the glockenspiel is ingenious and starts with a solenoid and ends with a LEGO ‘stick’ which taps the underside of the instrument bars. You can see the first prototype in action below and read more over on Robin’s blog. 🙂 like the triplet in one of the songs. Cool.